Lachman and JR join an impressive legacy of artists whose works have been commissioned for festival posters, including Andy Warhol, Roy Lichtenstein, David Hockney, Julian Schnabel, Cindy Sherman, and last year’s artist, Richard Serra. A revered and award-winning cinematographer, Ed Lachman has shot more than 100 narrative, experimental, and documentary titles in the United States and internationally. He is known for his collaborations with Todd Haynes, Steven Soderbergh, Robert Altman, Paul Schrader, Todd Solondz, Sofia Coppola, Werner Herzog, Wim Wenders, Volker Schlöndorff, Ulrich Seidl, and Jean Luc-Godard, among others. JR exhibits freely in the streets of the world, catching the attention of people who are not typical museum visitors. In 2006, he created Portrait of a Generation, images of suburban “thugs” that he posted in huge formats in the bourgeois districts of Paris. In 2007, with Marco, he made Face 2 Face, large portraits of Israelis and Palestinians standing facing each other in eight Palestinian and Israeli Cities, considered the biggest illegal exhibition ever. In 2011, he received the TED Prize. Later that same year, he created Inside Out, a global participatory art project that transforms messages of personal identity into works of art. As of September 2017, over 350,000 people from more than 140 countries have participated, through mail or gigantic photo booths. These limited-edition posters will be available for purchase during the festival at filmlinc.org/merch. 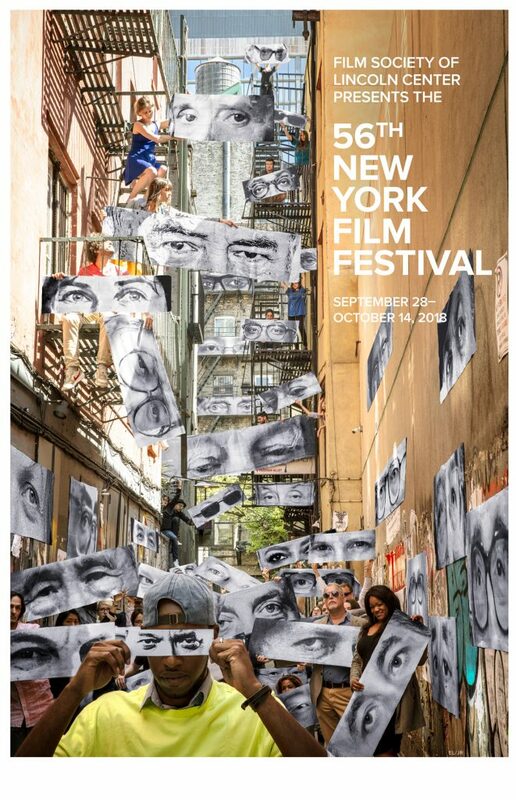 NYFF will also be holding a contest: the person who correctly identifies the most director eyes will receive a pair of festival tickets and a signed poster. See a poster keyhere and enter the contest here. Ed Lachman will speak to NYFF audiences about the poster concept and creative process at a free NYFF Live talk during the festival, details to be announced. ← Trump Rejects Globalism in Speech to U.N.